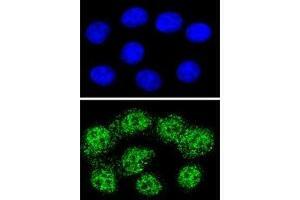 Confocal immunofluorescent analysis of MSH2 antibody with HeLa cells followed by Alexa Fluor 488-conjugated goat anti-rabbit lgG (green). 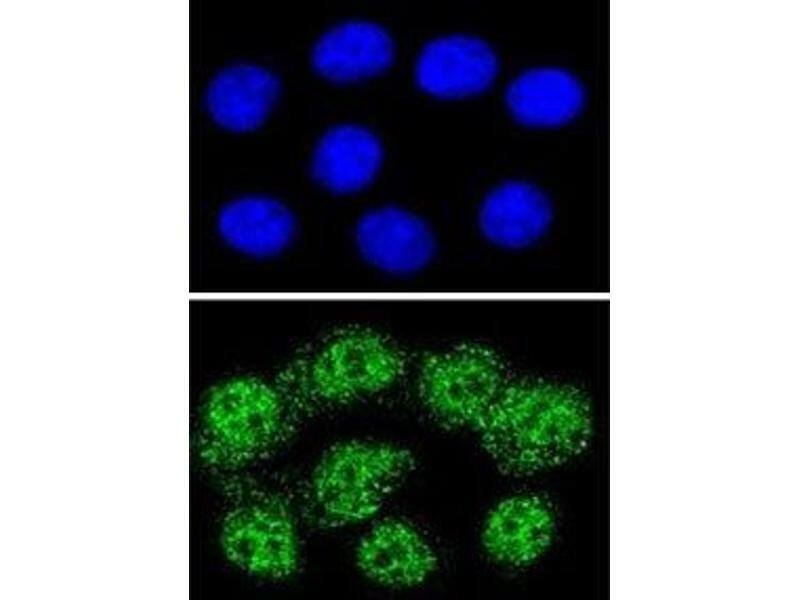 DAPI was used as a nuclear counterstain (blue). 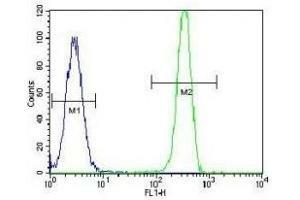 MSH2 antibody flow cytometric analysis of HeLa cells (green) compared to a negative control (blue). 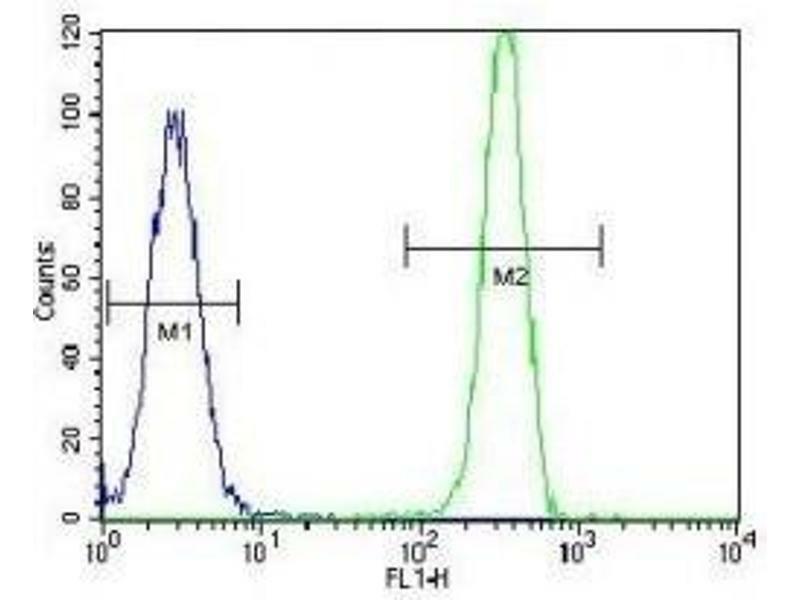 FITC-conjugated goat-anti-rabbit secondary Ab was used for the analysis. 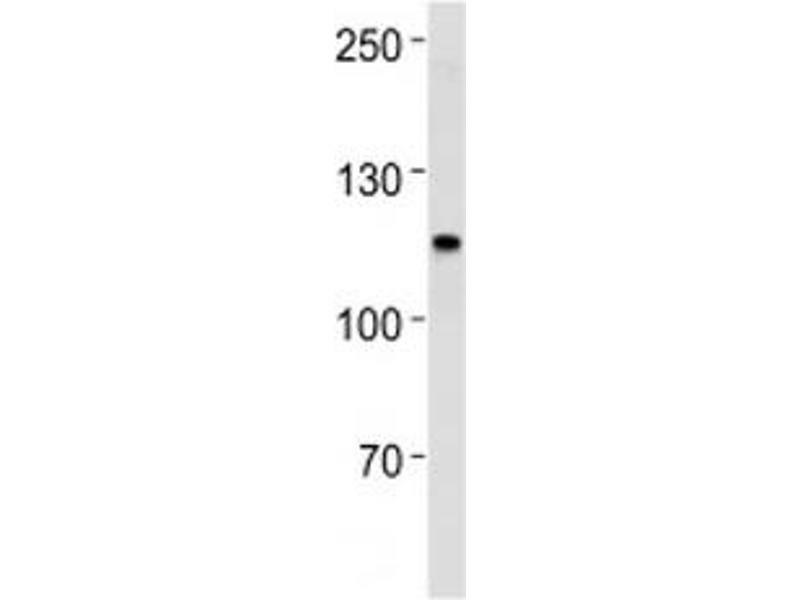 MSH2 antibody western blot analysis in SW480 lysate. 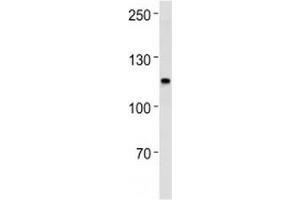 Immunogène A portion of amino acids 637-665 from the human protein was used as the immunogen for this MSH2 antibody. Sujet MSH2 was identified as a locus frequently mutated in hereditary nonpolyposis colon cancer (HNPCC). When cloned, it was discovered to be a human homolog of the E. coli mismatch repair gene mutS, consistent with the characteristic alterations in microsatellite sequences (RER+ phenotype) found in HNPCC. [provided by RefSeq]. Stockage commentaire Aliquot the MSH2 antibody and store frozen at -20°C or colder. Avoid repeated freeze-thaw cycles.